Learning to teach: How to succeed in tests? 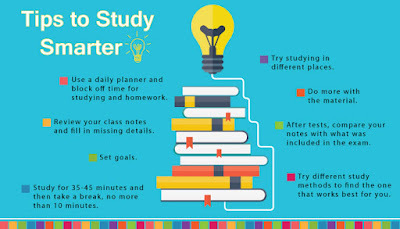 Well, as you can read in the title, I'm going to give some tips to study and, if possible, to succeed in tests. But let's explain something. This is not magic. You need to spend your time. Be organized with your timetable if not you will never find a day to focus on your studying. In my opion, taken into account my experience, it's better if you study alone firstly and then, if you want you can study in groups with your friends. The idea is that you and your friends can discuss of your doubts. And so you will be more confident. What about listening to music to concentrate? Well, I find that music does not help me to concentrate but I try. I try with music that I know and music that I've never listened to in my whole life. So, I think that THAT is not my way to study. The idea is that you can try different ways until you find YOUR way! Hope this post helps you!! !